Through the launch of ‘Sino Art in Community’ in 2013, we extend our outreach into the community and bring art closer to life. Our service targets include kindergartens and children’s homes, where ‘Sino Caring Friends’ and local artists create community art together with the underprivileged, children and educators. 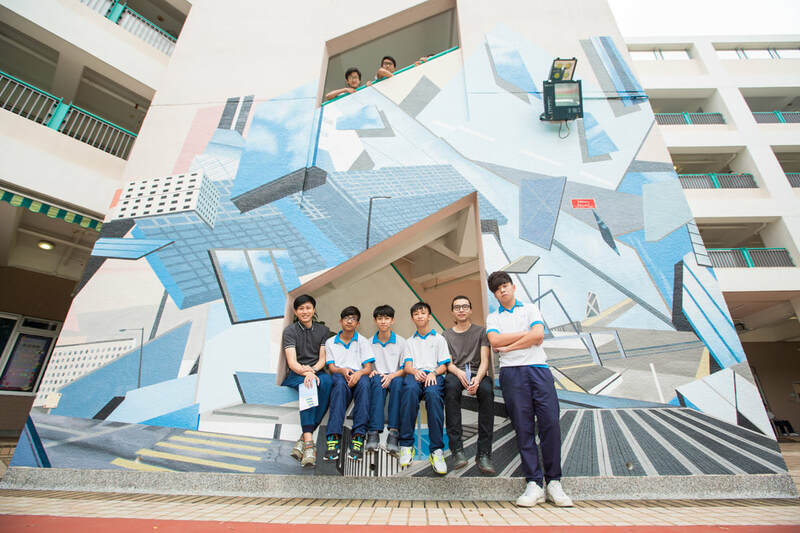 In the latest project of Sino Art in Community, we partner with local artist Sim Chan and architect Stanley Siu on a large-scale mural for the Society of Boys’ Centres Shing Tak Centre. 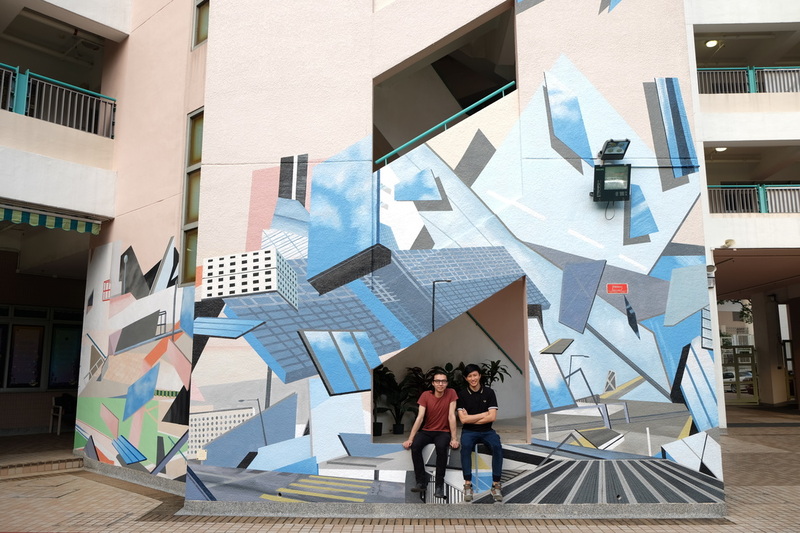 Sim and Stanley vividly depict the Society’s motto, ‘Self-respect, Self-discipline, Self-reliance’, with a re-construction of a three-wall collage of deconstructed images of the Centre and the city. 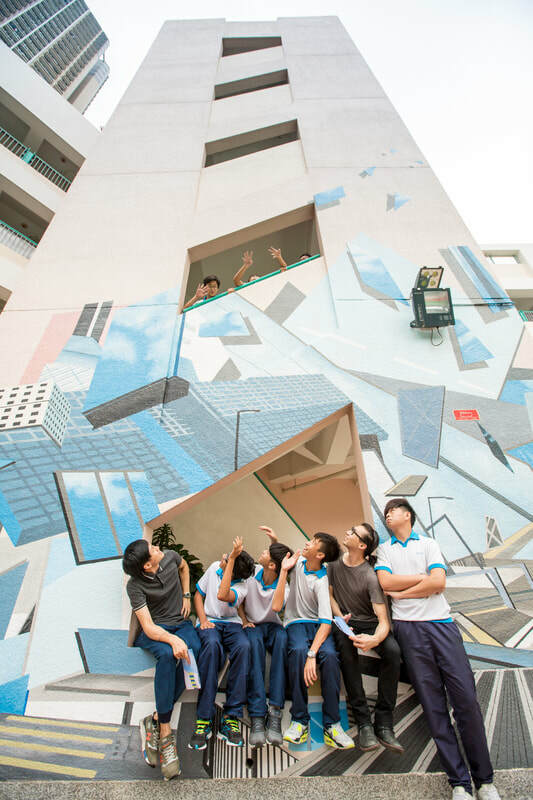 The first part of the mural features images of the Centre environment, and represents the learning and development of ‘respect’; the second part bridges the Centre and society, it is where students acquire ‘discipline’; the collage of city images in the third part demonstrates that student should be ‘self-reliant’ after graduation. It is the Society’s vision to instill the spirit of ‘Self-respect, Self-discipline, Self-reliance’ into students, who can build positive values and attitude towards life in a happy learning environment. Sim Chan graduated from the Hong Kong Art School majoring in painting. He was selected as one of the nominees for the Sovereign Asian Art Prize in 2011 and 2014. 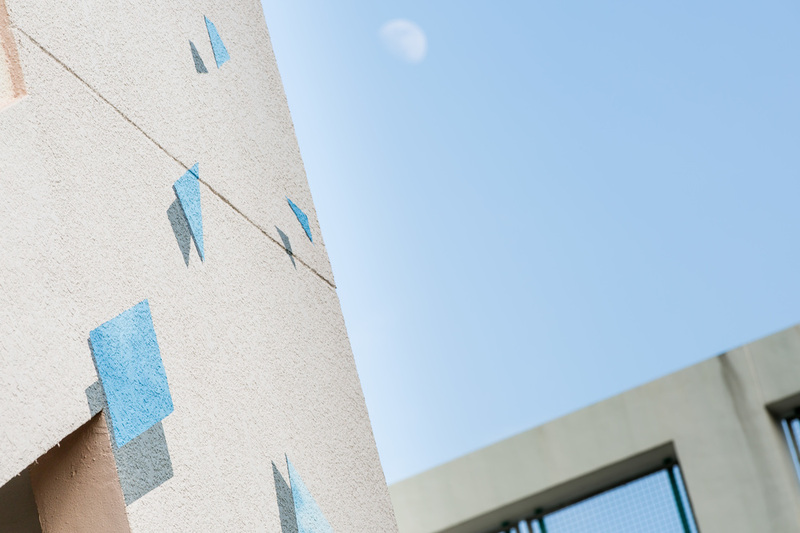 In 2013, he was named a ‘40 under 40 Global Creative Talent’ by Perspective Magazine and was invited by the Hong Kong Arts Centre to create public art installations for the venue. In 2014, he was selected in the ‘Art@Government Buildings 2013-14’ presented by the Home Affairs Bureau to install public artworks at the Queen Elizabeth Stadium. Stanley Siu grew up in New Zealand and graduated from UNITEC School of Architecture. He returned to Hong Kong after graduation and has been practising in architectural design. He is a member of the Hong Kong Institute of Architects (HKIA). In 2012, he found an architectural firm called ‘Daydreamers Design’, which participated in the 2013 Lantern Wonderland competition organised by the Hong Kong Tourism Board and received the Gold Award. The winning design, ‘Rising Moon’, was exhibited during the Mid-Autumn Festival at Victoria Park. In 2014, he was awarded the Young Architect Award 2013 organised by the HKIA.